When “Can’t connect to this network” error occurs on your Windows 10, it’s probably there’s something wrong with your network adapter. 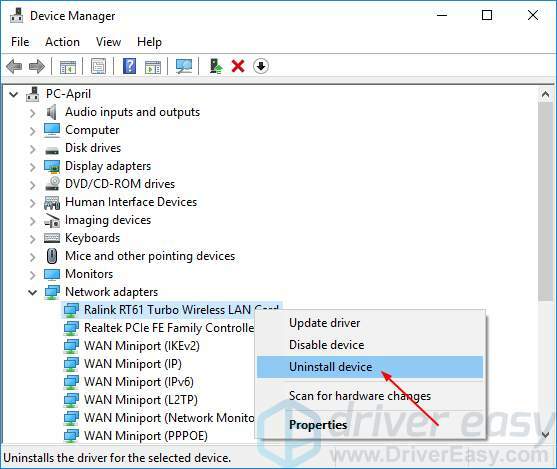 So as the top 1 solution, we advise you uninstall your network adapter and then let your Windows 10 reinstall the driver automatically. 1) On your keyboard, press the Windows logo key and X key together to open quick-access menu. 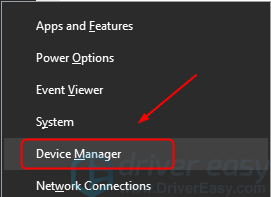 3) Click Network adapters, then right-click on your network adapter and select Uninstall device. 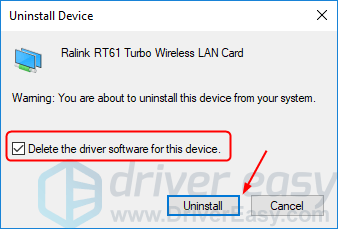 4) Tick on Delete the driver software for this device. Then click Uninstall. 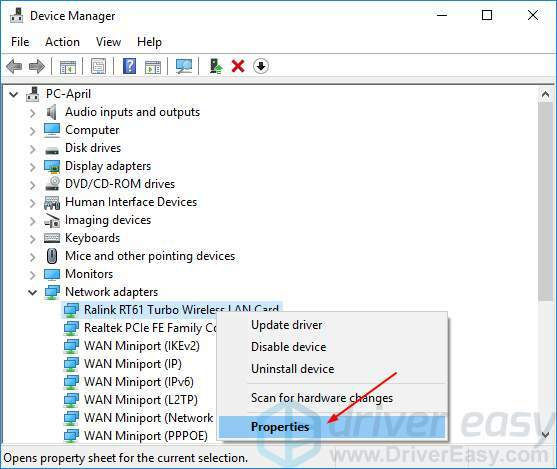 5) Reboot your Window 10 and try to establish your network connection to see if it works. This problem could be also caused by the old or incorrect network driver. 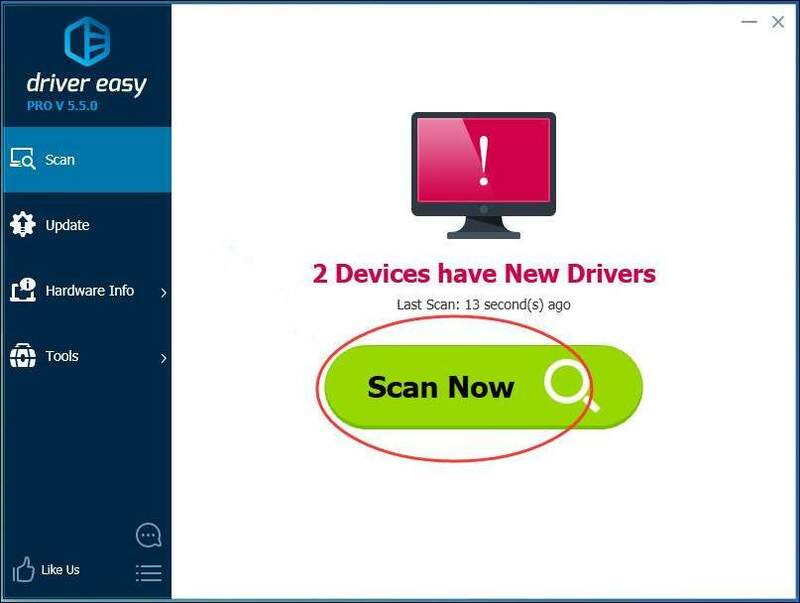 If you’re not confident playing around with drivers manually, you can do it automatically with Driver Easy. 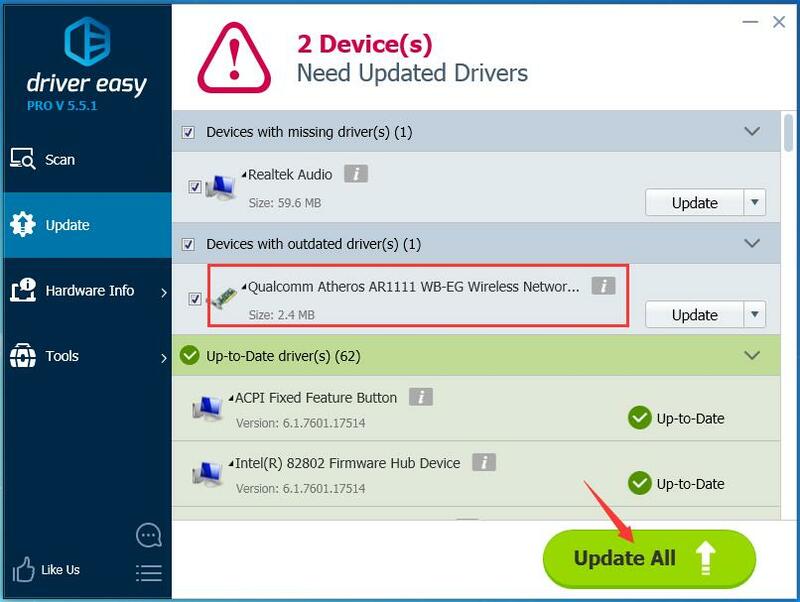 3) Click the Update button next to a flagged network adapter driver to automatically download and install the correct version of this driver (you can do this with the FREE version). NOTICE: It needs network connection for Driver Easy help you update all the driver with one-click. But without Internet, you still can use its Offline Scan feature to update your network adapter drivers. 4) Reboot your Window 10 and try to establish your network connection to see if it works. 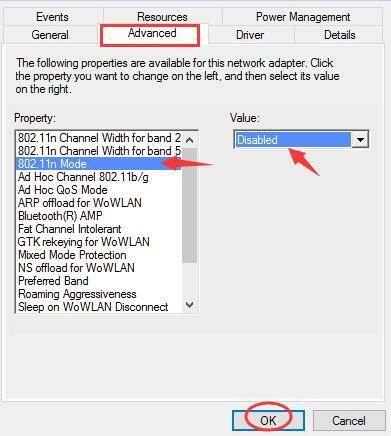 3) Click Network adapters, then right-click on your network adapter and select Properties. 2) Click the Advanced section, then click 802.1 1n Mode and set the Value to Disabled. 3) Try to establish your network connection to see if it works. According to many users reported, reset their routers help them fix the error. Thus make sure to reset your router to try to fix the error. You can use the reset button on your router or unplug and reconnect your router to reset it. When it’s done, try to establish your network connection to see if it works.